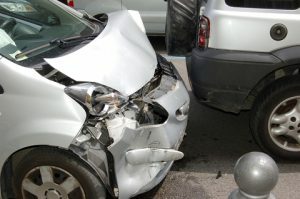 Being involved in any sort of vehicle collision is a stressful time, considering repair bills can rack up fast! Join Freeway Auto Body as we let you in on four tips to make sure you’re getting the best price possible when it comes to your next collision repair. By choosing a local shop, you’re going to receive top quality work and excellent customer service with a personalized touch. Smaller auto body repair centers rely heavily on referral business to get their name out there and grow their business. Because of this, they have a vested interest in offering the best prices and service possible to make sure they keep their customers happy! You can also feel good about the fact that you are supporting your local economy. The money you spend is cycled back into your community and creating jobs. A reputable shop is going to offer fair pricing. Ask your friends, families, and co-workers for recommendations. Check out online reviews on platforms like Yelp, Yellow Pages or Google. If a shop has a habit of overcharging, that is bound to come out in the reviews! By choosing a reputable shop, you can rest easy knowing that you are paying a fair rate and that your vehicle is going to be worked on by certified technicians. Make sure you’re getting the best price possible by getting quotes from a couple different places. By checking out your options, you won’t end up overpaying. Many shops will offer competitor price matching or will beat their prices to earn your business. It’s a bit easier to get multiple quotes if you’re still able to drive your car around to all the shops. If your car needs to be towed, things get a bit tougher. What you can do then is get a quote from the shop you towed your car to, and then call around and ask what other places would charge for the same service. By chatting with multiple providers, you’ll also start to get a sense of what a reasonable price is for the service you’re after so you’ll be able to spot shops who overcharge. After a collision, it’s always a good idea to get your vehicle’s machinery checked out. Even if the outside of the vehicle seems fine, there could be internal issues that haven’t yet made themselves known. Dealing with these issues right away will cost much less than if you wait until it’s too late. Spending a little now to save a lot later is always a good idea. If you’ve recently been in an accident and are looking for quality, affordable auto body service, give the team at Freeway Auto Body a call. Our qualified technicians will analyze your vehicle, determine any issues and get them fixed in an efficient manner.